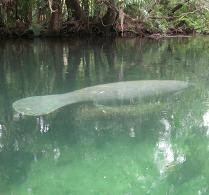 The Florida Fish and Wildlife Conservation Commission is extending the deadline for the public to respond to its rule development survey on changes to the rules on captive wildlife, according to a press release at the agency's website. FWC is considering new requirements for the various classes of captive wildlife (Class I, II, and III) and licensing requirements for people selling or exhibiting Class III wildlife. Class I wildlife include gorillas, chimpanzees, lions, leopards, tigers and bears. Class II wildlife include several species of small monkeys, small cats, coyotes and wolves. Class I and II wildlife are potentially dangerous to people. A link to the survey is available here. The deadline has been extended to December 7, 2009, apparently because of a "limited response from the public." I'd encourage anyone concerned with captive wildlife to take the survey. hanks for the sharing of such information we will pass it on to our readers. pura sun - Post interesting and thanks for sharing. Some things in here I have not thought about before. Thanks for doing the cool-down, which is really good written. I will refer more friends about this. This is one of the charismatic, informatics blog and a good book about life at most that have been described in the special features to help readers and visitors. All information found here is genuine and realistic. Seeing the wonders of nature is a free opportunity anyone must try. Appreciating beauty and the natural wonders around is a perfect adventure. Seeing the authenticity of wildlife is truly amazing. Betting Odds Many people do not miss.